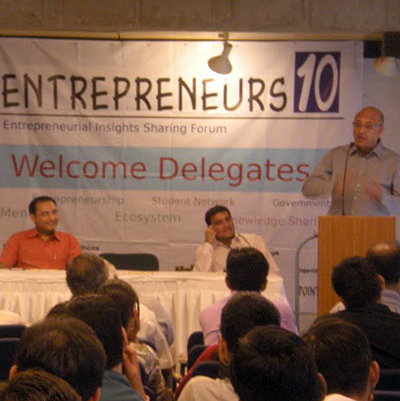 As a successful entrepreneur with over 3 decades of experience, Mr. Sushil Handa was invited to formally inaugurate Entrepreneurs10, a platform to encourage and support young entrepreneurs. In his key-note speech on Entrepreneurship and life, he shared with the audience that the world is full of opportunities and everyone can become successful and build big businesses. Yet, few people actually achieve success. This is the “Magic of Life”!